Ashley is a member of the newest generation of Power Rangers. She is a charismatic young woman with a cheerful personality who loves fashion, mechanics, cheerleading, and above all dancing. Ashley is a natural leader among her peers and has won great respect from her peers at Angel Grove High School. 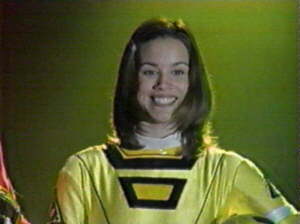 Ashley was chosen by Tanya for her compassion and integrity to assume her position on the Power Rangers Turbo team as the Yellow Turbo Ranger. When Divatox destroyed the Power Chamber and the Turbo powers, Ashley along with her fellow Rangers blasted off for outer space in a N.A.S.A.D.A. Space Shuttle to try and rescue Zordon. 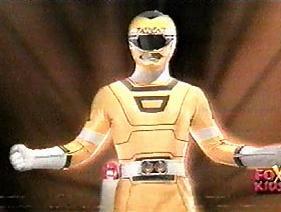 Along the way they encountered Andros who granted Ashley new powers making her the Yellow Lightstar Ranger. As the Yellow Turbo Ranger Ashley controlled the Dune Star Turbo Zord and the Star Racer Rescue Zord.